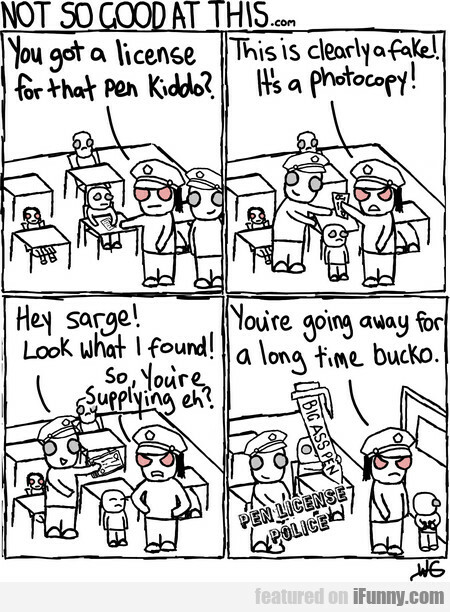 You Got A License For That Pen Kiddo? On Dec 07, 2018 via W.G. What You Mean I’m Fat?